Clara is the only Canadian athlete in history to win multiple medals in both summer and winter Olympic Games. A six-time Olympian, she has won Olympic medals representing Canada in both speed skating and cycling. In addition, she served as the flag-bearer for Team Canada in the 2010 Vancouver Olympic Games opening ceremony. Since 2010, Clara has figured prominently in the eyes of Canadians as the national spokesperson for Bell Let’s Talk, a campaign designed to end the stigma attached to mental illness. In 2014, she completed a 110-day national bicycle tour through every province and territory in Canada called “Clara’s Big Ride”. As part of the tour, she covered more than 11,000 kilometres, visited 105 communities and did over 235 events raising awareness for mental health. She is also the author of the bestselling memoir, Open Heart, Open Mind. Clara sits on the International Board of Directors for Right To Play, a global organization that uses the transformative power of play to educate and empower children facing adversity, and is also an Honourary Witness for the Truth and Reconciliation Commission, which is part of a national, comprehensive response to the Indian Residential School legacy. From one of Canada’s most decorated Olympians comes a raw but life-affirming story of one woman’s struggle with depression. In a world where winning meant everything, her biggest competitor was herself. But after more than a decade in the gruelling world of professional sports that stripped away her confidence and bruised her body, Clara began to realize that her physical extremes, her emotional setbacks, and her partying habits were masking a severe depression. After winning bronze in the last speed skating race of her career, she decided to retire from that sport, determined to repair herself. She has emerged as one of our most committed humanitarians, advocating for a variety of social causes both in Canada and around the world. In 2010, she became national spokesperson for Bell Canada’s Let’s Talk campaign in support of mental health awareness, using her Olympic standing to share the positive message of the power of forgiveness. 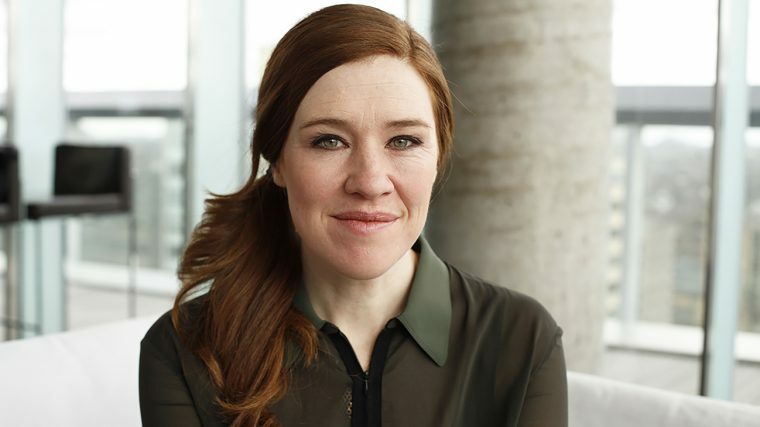 Six-time Olympic medalist Clara Hughes is distinguished both as an athlete and for her humanitarian work. In addition to being a Right To Play Athlete Ambassador, Clara has participated in programs impacting youth around the world and in Canada, sharing how sport positively impacted her own life. She is an example of the transformative qualities of sport and play. Clara is an Officer of the Order of Canada, and was awarded the International Olympic Committee’s prestigious ‘Sport and the Community’ award for her commitment to promoting the values of sport and play around the world. After winning gold at the 2006 Winter Games in Turin, Clara donated $10,000 of her personal savings to Right To Play, while challenging Canadian businesses and individuals to match her donation or give what they could. This ignited awareness across Canada and resulted in donations of more than $450,000 in support of the play programs. She donated her $10,000 Olympic medal bonus in the Vancouver 2010 Games to a local grassroots organization called Take-A-Hike, which uses adventure based learning for at-risk youth to re-enter the school system and thrive in an outdoor environment. Clara has travelled to Ethiopia, Ghana, Mali, Liberia, Uganda and Rwanda learning the intricacies of programs igniting confidence and motivation in young people. She has also contributed to outdoor programs in the far north as well as hockey programs in the Inuit region of Northern Québec. Clara was nothing short of a joy to work with. Every single person I talked to loved her keynote speech, and despite the crazy heat in our gymnasium, she carried it off so professionally. As a person, I cannot say enough wonderful things about Clara, and how personable she is. She was so nice, cheerful, hard-working, and not to mention stylish! Over the course of the day, I garnered even more respect for her than I could have had before, because I truly saw what a tremendous inspiration she is. The ride was a big success, everyone got a chance to ride with Clara, which was just great. She stayed afterwards and took pictures with everyone and didn’t leave even though we went a bit overtime. I don’t think people were necessarily expecting the speech she delivered, but it touched everyone. She stayed and danced, socialized, and took photos – made a great and lasting impression all round. I would recommend her to anyone. Clara is a fabulous speaker (one of the best I’ve heard!) and an even more amazing human being. She has an incredible energy and is so full of warmth. It was such a pleasure to hear her speak and to spend time talking with her. Clara Hughes was fantastic! She had a great relevant message that our top advisors really enjoyed. Such a super woman. Fantastic speaker! Really resonated with our clients. We hit the homerun and she is a very genuine person.